Kasei Valles (Kasei is the Japanese word for Mars) is one of the largest outflow channels on Mars. 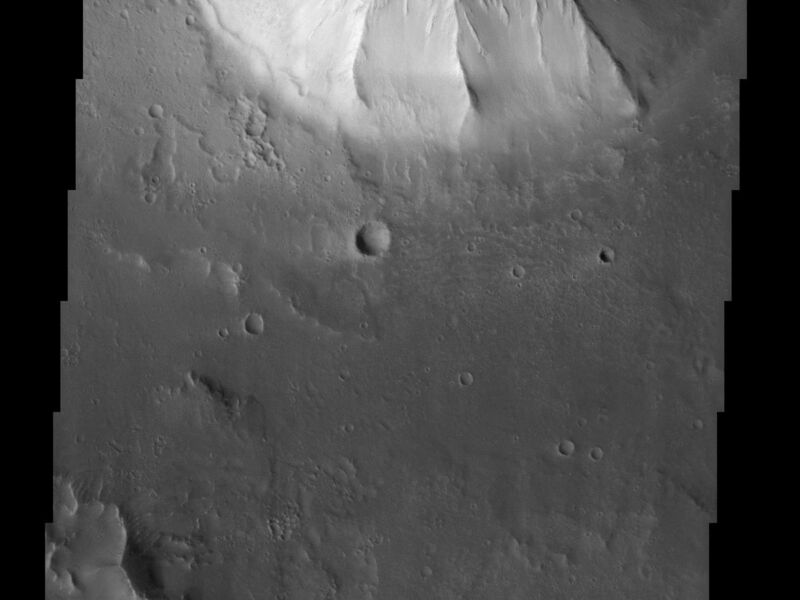 Kasei Valles stretches some 2,000 km across the face of Mars and empties into the Chryse basin. 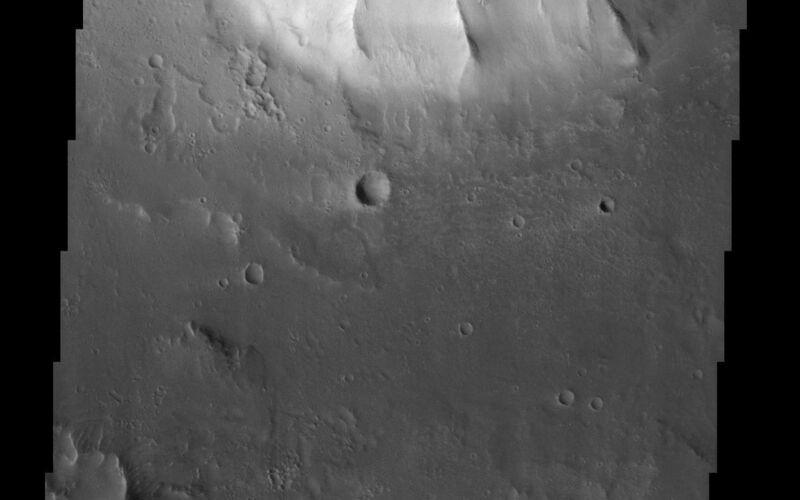 This THEMIS image is of the northern branch of Kasei Valles and shows the channel floor and northern channel wall. The plateau surface located at the top of this image is more heavily cratered than the channel floor which indicates that the plateau is older than the channel floor. The wall of the plateau has spur and gully topography present. The floor of the channel has evidence of fluvial scour including a smaller inner channel. These features were probably carved out during waning stage flow. The probable causes of Martian floods are massive releases of subsurface water/ice due to possible subsurface volcanic activity. Martian outflow channels begin at point sources (chaotic terrain and box canyons) and then flow unconfined into a basin region.